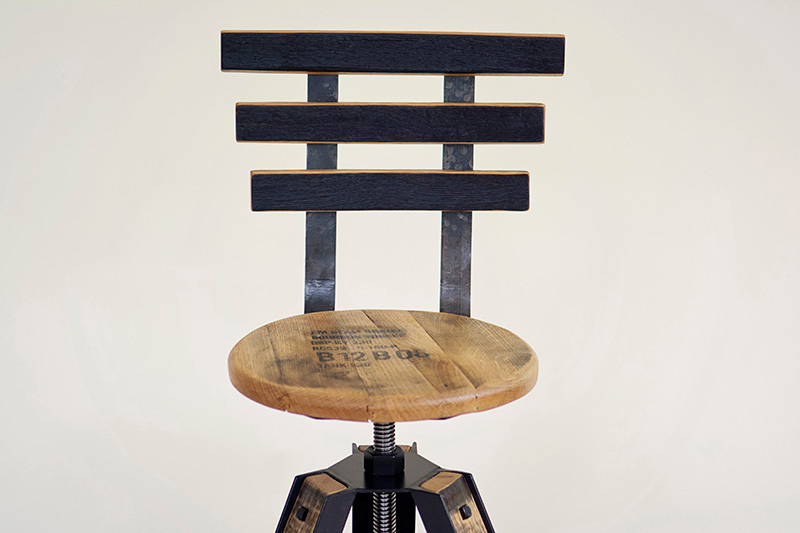 The Speak Easy Stool w/ Back Rest – Highbridge Barrel Co. 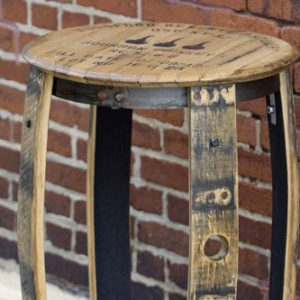 The Speakeasy Stool is the essence of one-of-a-kind furniture. 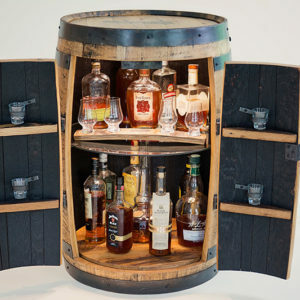 This eclectic stool incorporates the unique characteristics of a bourbon whiskey barrel with a rugged, modern/industrial twist. 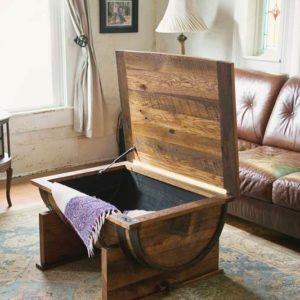 The solid legs are made of 3 bourbon barrel staves anchored to a heavy duty steel frame with a hammered metal hoop for a foot rest. Tripod style legs means it’ll never wobble. 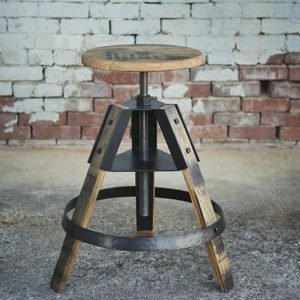 Stool tops are crafted from authentic bourbon barrel heads with original distillery stamps and markings. 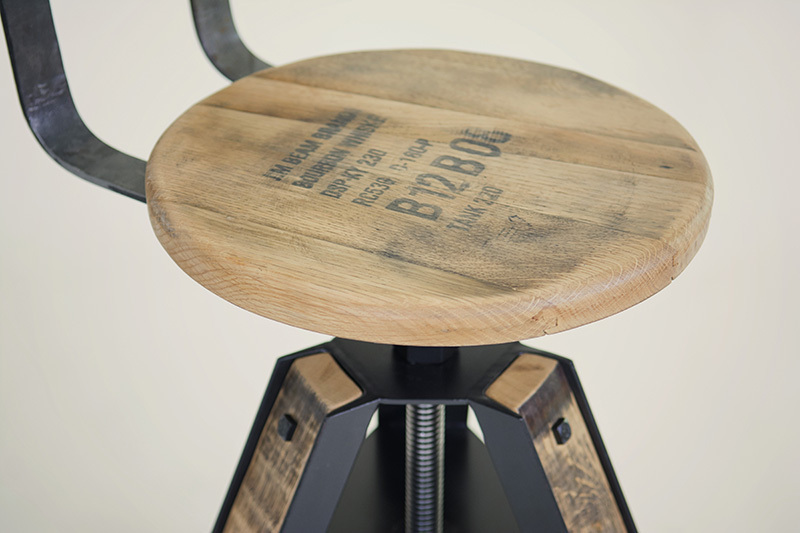 Spin the seat from 22”-31” and find the perfect height for any occasion. 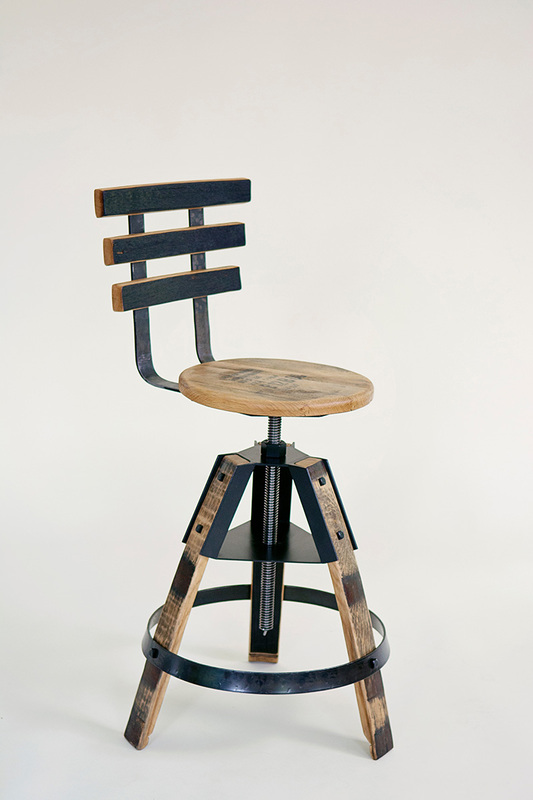 The “Back Rest” takes this stool to a whole’nother level, so to speak. 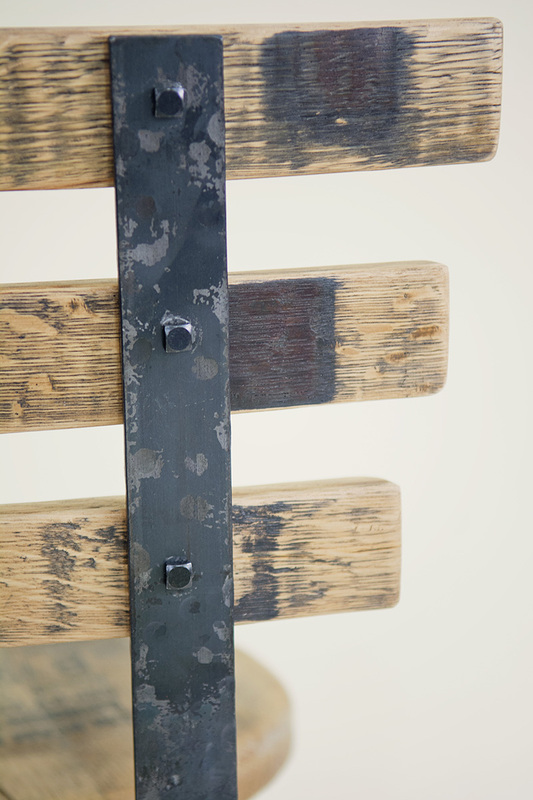 Flat steel is hammered for texture, then bent and welded to the frame. Three staves are anchored to the steel supports with old-school, square head lags. The staves are cut consecutively shorter and positioned to stay comfy in all the right spots, from the mid back down.